@1shankarsharma Sir, is this a genuine or sarcastic tweet? Even a hint would be helpful.Thanks. @1shankarsharma Selling monkeys to village. Guys it's time to sell. when Big Bear is Bullish. However, Shankar made it clear that he is dead serious that the markets are in take-off mode. He has earlier predicted that there will now be a massive incremental run in small-cap and mid-cap stocks. Shankar came down heavily on his followers for doubting him. “gadhon ki kami nahi is duniya mien,” (there is no dearth of fools in this World) Shankar fumed. 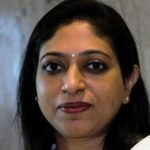 To address the doubts of his many fans and followers about whether he is bullish or bearish, Shankar has written a detailed piece in Mint where he has declared that “I remain a massive bull on Indian small caps, and have been so for the past three years”. “Indian small caps are the best equity class in the world. 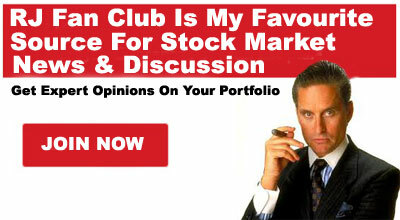 I have maintained this for years now and am even more bullish now,” he added. However, Shankar made it clear that his bullishness does not extend to large-cap stocks. “I don’t see a marked recovery in large-cap earnings,” he said in a grim tone. “The bull market in small caps has just actually started as it only recently took out its 2007-08 highs. 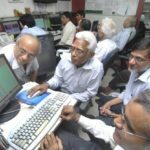 Hence, technically speaking, the new bull market for small caps has started only now,” Shankar said with an air of immense confidence. He explained that it is “meaningless” to look at valuations on a P/E basis because a “massive move” is coming. “Valuations, etc are all meaningless terms. Indian bond yields are at multi-year lows, so why look at P/Es (price-to-earnings) without adjusting for far lower bond yields?” he asked. He explained that if one adjusts for yields that are 20% lower than what has have seen in years, the valuation metrics should be at least 20% higher. “Hence, I don’t at agree that India is expensive at least in small caps, given better balance sheets, lower cost of capital and reasonable growth outlook,” Shankar said in a firm tone. Shankar rubbished fears of geopolitical risks threatening the markets. “There are risks but I don’t think they are fatal,” he said in a dismissive tone. He added that “As of right now, I see no major risk”. Unfortunately, the interviewer did not ask Shankar Sharma for stock tips or recommendations. Instead, an abstract question was asked as to which sectors he is bullish on. Shankar replied that he is “very bullish” on metals, steel, chemicals, infrastructure, etc. In the past, Shankar has recommended an investment in Kiri Industries on the basis that it is “a niche chemicals player which is growing its business, paring down debt and owns a significant stake in Dystar, one of world’s largest Dyes Companies”. The recommendation has worked out well with a 45% YoY return. 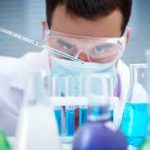 There are several other specialty chemical stocks that we can consider. NOCIL has won the confidence of Dolly Khanna and Ashish Kacholia which implies that it is a powerhouse multibagger in the making. Some other specialty chemical stocks that require consideration include Dai-Ichi Karkaria, Sudarshan Chemicals, Thirumalai Chemicals, Apcotex, Oriental Carbon etc. These stocks are the favourites of illustrious gurus like Dolly Khanna, Anil Kumar Goel, Vijay Kedia etc. In the infrastructure space, Shankar has earlier recommended A2Z Infra Engineering. That has also worked out well with a 93% YoY return. Shankar’s favourite stocks in the steel space are not known. However, if one is inclined to dabble with steel stocks, Tata Metaliks, the blue-chip small-cap stock which has won Dolly Khanna’s trust, is a good choice. Tata Metaliks is up an eye-popping 445% on a YoY basis but appears to have a long way to go if you go by expert opinion. Another worthwhile candidate is Tata Sponge Iron. Daljeet Kohli has given excellent reasoning for recommending this blue-chip stock. The stock is up 54% on a YoY basis. 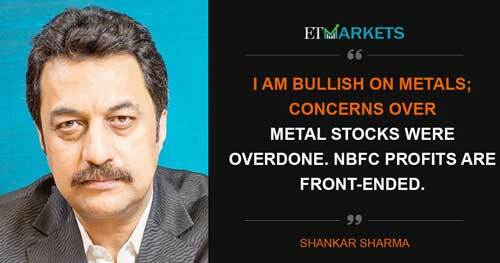 Shankar Sharma’s bullishness is like music to our ears. We need to shed our inhibitions and take advantage of the situation to load up on top-quality small and mid-cap stocks! 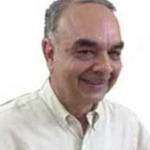 Shanker Sharma Bullishness is fine,but Sector he recommend may not be favourite of market.Pvt Banks, NBFC,Housing finance companies, insurance , Cement(Ultra tech),paints(Asian paints) ,auto (Maruti),FMCG (ITC), petro chemical ( RIL)are few sectors which will still make money He can not recommend these as he blasted PVt sector banking last time and stocks has mocked him by more than doubling since then .RIL is other stock he was bearish but stock is on come back trail .He is permanent bear and just want to be relevant in mother of all bull market, by making such comments .Der Aye ,Durust Aaye . I believe Rel Capital should double from here in in less than two years . There is no doubt more money can be made in small and mid cap as compare to large cap stocks .But small investers should always keep in mind that large known names are stable compnies and almost every news is in public domain so are compartivily safe and major portion of portfolio should be in large cap stocks .Very few small investers has expertise to know and do research in small compnies,except those who are experts, normal small imvesters should invest in micro and small cap through mutual funds .I am invested in dsp microcap fund,franklin smaller compnies fund ,rel small small cap fund and hdfc mutual fund to have exposure in this section of market.More over dont invest more than 33% of portfolio in small and mid cap stocks including small cap mutual funds and no single small cap stock should be more than 2 to 3% of small invester portfolio. read hdfc mutual fund in my post as hdfc mid cap fund,I am also invested in mirae emerging blue chip fund. It’s so funny…This is the time small Investors need to be cautious. There is 10 Lakh Crore serviceable debt on the books of all major banks. FYI – 10 Lakh Crore is 160 billion Dollars. This is a massive hit to recover. This is like a bubble waiting to burst. Government and RBI is trying to cover up this by bringing in legislation,getting the bank to start underwriting these loans every quarter.This is ongoing for more than an year now. Any knowledgeable Manager who works in a banking Industry could clearly see this. when Banks such hit and further RBI tightens monetary policy to make show good numbers – It’s a downward swirl thats waiting to start…! NPA ,what is new in it.It is the only reason for pvt banking ,NBFC and Houseing Finance compnies to Cheers and Grab business out of PSU banks .Sick PSU banks,what new in it,you have seen it in telecom,airlines and many more earlier. Now it was just turn of PSU banking and who knows ,OIL PSU may be next in firing line with RIL entering big in oil retail.Just enjoy the shift and be early in trend. PSU’s serve 70% of the people in the country and corporate companies in the country. Big Banks(PSU) burdened with mounting Losses .. what happens next ? What happens ? The momentum gets disturbed. Ideas takes more time to materialize. End Effect ? Slower Growth and Slower Economic Activity. Anything with Financials – The Cause and Effect is like a butterfly effect. All Opportunities and downfall in the recent history in any country starts with Financial Mismanagement. btw – Shankar Sharma is very late to the party. Which sector is great now to investor after massive over-run in valuations.I see no good quality stocks in the radar with in reasonable valuations. Anyone who could invest @ P/E of 23 can’t make a winning bet. No doubt PSU bank presently serve 70% of population but in next 5 years they will be left with 30% customers (that too with third grade non profitable}.This is like BSNL ,MTNL having100% customers left with very few.Govt as a word is alternative name for uneffficincy and poor service seen every where through out country .I dont see govt having more than Defence ,home ,law and justice ,foreign ministry in future, with all PSU going to die like dinosaurs.This is called value migration .Still you can find value in market ,I see lot of value still in market ,for example il Rel Capital stock is at Price to book around 1.2 ,PE very low and its price is just1/3 of its all time high.with almost every financial verticke in it like AMC,Broking,Housing finance, Commercial finances, Gen insurance, Life insurance etc and all business are doing very well.I hold the stock. @kharb, You keep mentioning Rel Cap repeatedly. Maybe you believe it undervalued. But the stock market probably knows better and the stock market’s valuation prices in informed expectations (as they stand currently). Only if these change in future will the market reprice the stock. You in the meanwhile may just be overly bullish on its future prospects…. and wish you well. Finally, Shankar is back with his so called Expression about market next move.